Online poker in Pennsylvania has been gaining some momentum in the last year or two, enough that many see the state as second, perhaps only behind California, in terms of how likely it is to pass Internet poker legislation this year. Those efforts gained a little bit more momentum last week when State Representative John Payne (R-Dauphin) introduced a bill that would legalize online poker and other Internet casino games throughout the state. The bill, known as HB 649, was originally believed to be a “poker only” bill. However, that seems to have been in error: a corrected version of the bill says that authorized games can include anything approved by the state gaming board. 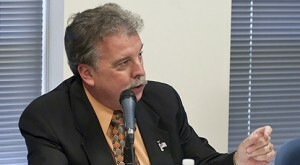 Payne is the chairman of the House Gaming Oversight Committee in Pennsylvania, the same committee that recently scheduled a hearing on Internet gambling in April. For Payne, allowing online poker and other games could be just what the state needs to help meet its budgetary needs. 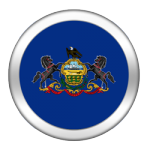 Under Payne’s bill, only individuals aged 21 or older and who were located within the borders of the state would be eligible to play on Pennsylvania’s online poker sites. However, there is the possibility of interstate compacts mentioned within the bill. Online current holders of gaming licenses in the state would be eligible to receive online gambling licenses, and there would be a fee of $5 million for each operator who wished to do so, along with another $1 million fee for “significant vendors” in the industry (likely including software providers). One controversial area of online gambling legislation has been the so-called bad actor clauses: rules that would keep out companies that operated in the United States even after the Unlawful Internet Gambling Enforcement Act went into effect. Payne’s bill has no such language in it, meaning that it would be up to regulators to decide on a case-by-case basis who would be allowed to take part in the state’s online poker market. As for generating revenue, the bill applies a 14 percent tax rate on daily gross revenue. According to a study cited by Payne, this could generate around $120 million for the state of Pennsylvania in the first year after the law is enacted. This might be a bit optimistic of a projection: to raise that amount of tax revenue, the sites would have to take in over $850 million. As a comparison, New Jersey’s online gaming sites brought in just $122.9 million in their first year. For Payne, the fact that other states have already proven that online poker and casino games can be regulated effectively shows that it’s time for Pennsylvania to get into the game. “The implementation of legalized online gaming in Nevada, New Jersey and Delaware demonstrates the technologies exist to regulate Internet gaming safely and effectively,” he said. Payne also made the point that since two of these states (New Jersey and Delaware) border Pennsylvania, the state might want to get into online gambling before they’re left behind in the region.